Elizabeth Olsen is one of those actresses we not only admire for her acting roles, but also for her insanely impressive fashion sense. And at the Sundance Film Festival on January 21st, it was no exception. Elizabeth Olsen rocked a silk kimono-style robe on the red carpet in Park City, UT like it was NBD. Olsen was there to promote Wind River, a new film she is starring in. According to Deadline Hollywood, in the film, Olsen plays Jane, a rookie FBI agent, who needs help solving a case. Who does she call on for help? Cory (Jeremy Renner), who works for the Fish and Game Department, hunting coyotes and other predators. Grieving over the death of his teenage daughter, he finds the frozen body of a teenage girl. Jane asks Cory to help her find who did it. Taylor Sheridan, who wrote Sicario, wrote Wind River, as well as made his directorial debut with the film. Fun fact: The film shot in Park City, too. We’re stoked to see it, as well as other movies at the 2017 Sundance Film Festival. 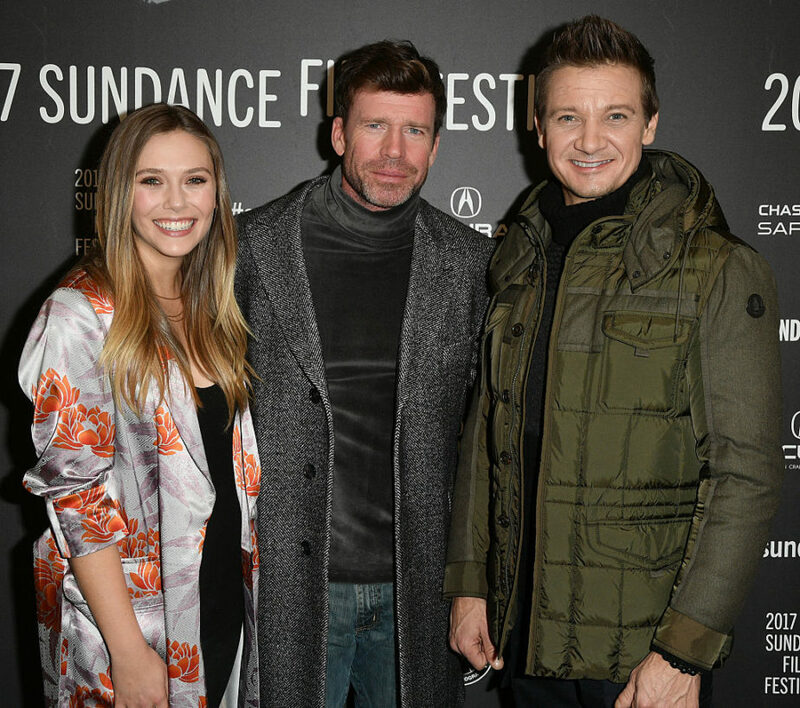 Let’s take a look at Olsen’s latest stylish ensemble, the kimono-style robe that she wore to the Wind River premiere at the Eccles Center Theatre, followed by the party at the Acura Studio at Sundance. Yes, it may look like a jacket above, but here’s the full look, top-to-bottom. Now that we’ve seen Olsen’s serious side, here she is selling the kimono look with a smile. Okay, it’s official — we want a kimono now, movie premiere or not! Here, Olsen poses with Wind River’s Sheridan, as well as Renner. Of course, as we mentioned before, Olsen’s fashion sense is no surprise to us. You may remember this ahhh-mazing pink dress she wore at the Marie Claire’s Image Maker Awards 2017 on January 10th in West Hollywood, CA. And then there was this stunning butterfly dress Olsen wore at the 6th Annual Sean Penn & Friends HAITI RISING Gala Benefiting J/P Haitian Relief Organization at Montage Beverly Hills on January 7th in Beverly Hills, CA. Of course, aside from giving us #fashiongoals, Olsen’s been busy filming other movies, as well, such as Avengers: Infinity War, and Olsen will star alongside Aubrey Plaza in Ingrid Goes West this year, too. While we wait to see Olsen’s films, we have some kimono shopping to do. Brb.